Google's local reviews can be a useful way to decide where to go and what to see when traveling, but what if you don't speak the language where you are? You can fumble with Google Translate to copy and paste the text, but that's clunky. 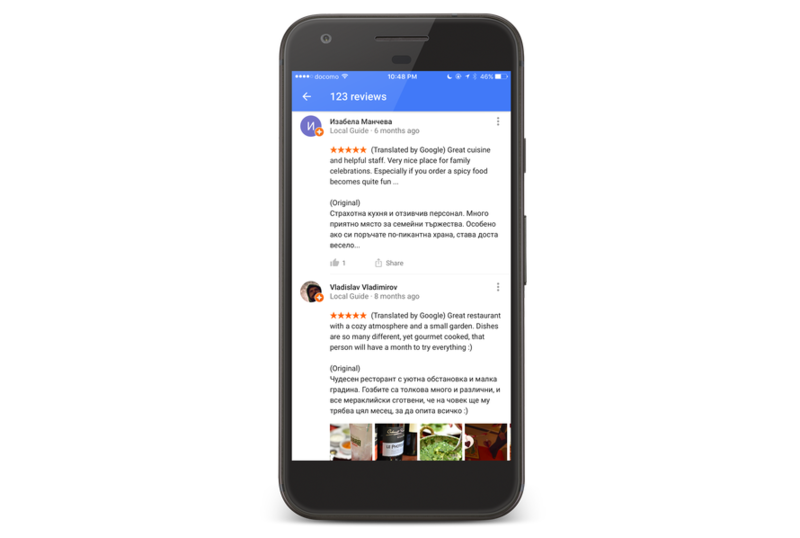 Now, Google search and Maps will translate reviews to your language automatically. You don't have to do anything for auto-translation to start working. Simply do a search or look something up in Maps, and the reviews will be in your language. Note, that means the preferred language chosen in your settings. Google isn't just replacing the reviews, though. The translation will be shown at the top, then the original text is below that. This doesn't appear to be working for me yet, but I imagine it'll be live for everyone in a day or two. Let's also take a moment to acknowledge that, yes, the image above depicts a Pixel running iOS. Google has clearly made a mistake here. It's amusing, but inconsequential to the new translation feature, except to remind us this won't be restricted to Android.